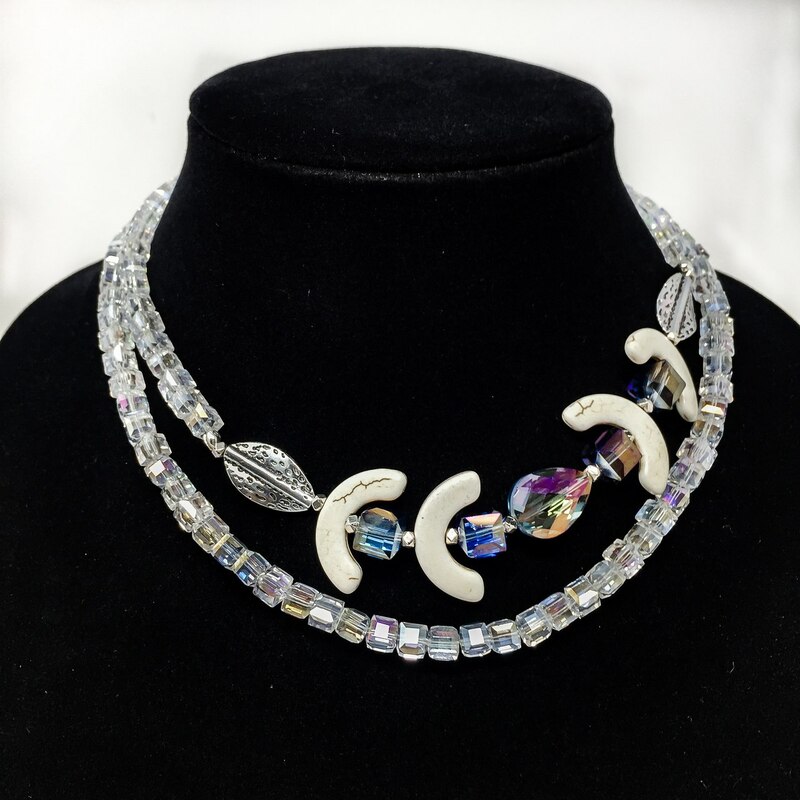 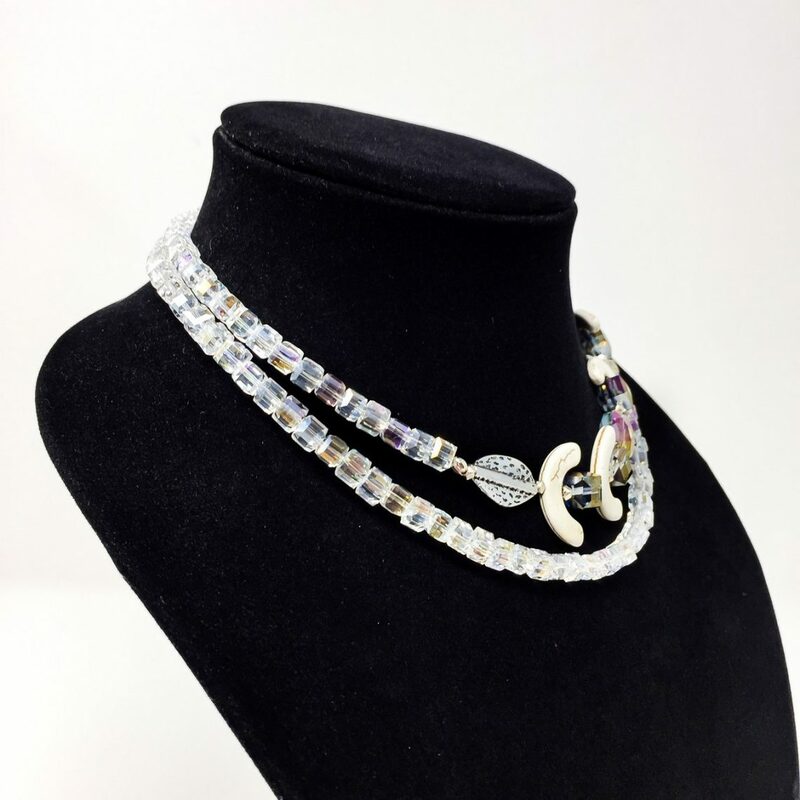 MATERIALS: This necklace features grounding Blonde Magnesite mineral half moon beads, Swarovski quartz crystals, Swarovski iridescent purple quartz crystals, and sterling silver leaf beads. 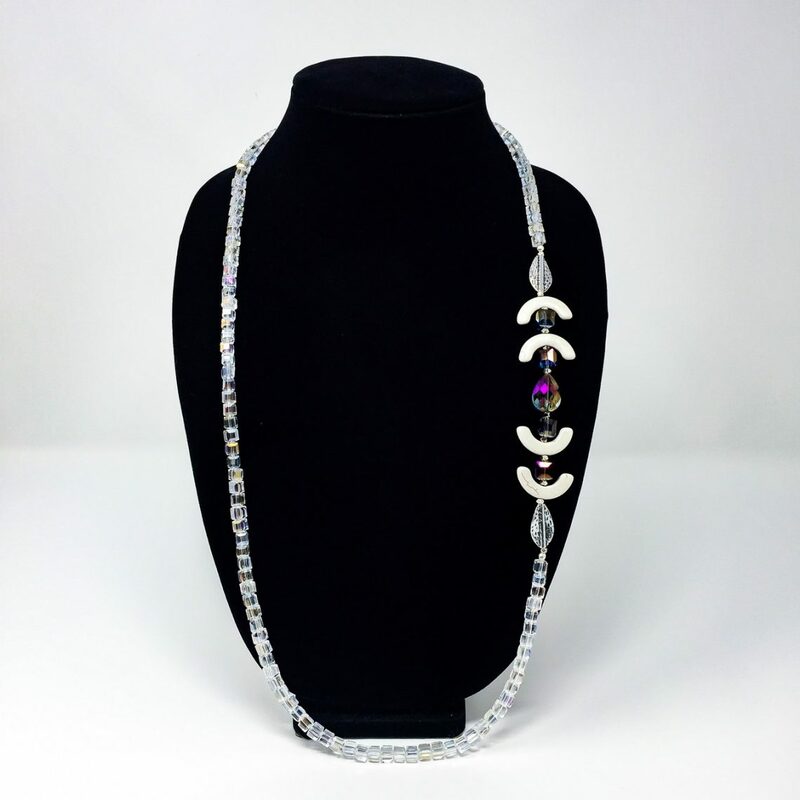 Can be worn as a single length strand or can be wrapped as a double strand for a shorter length and different style. 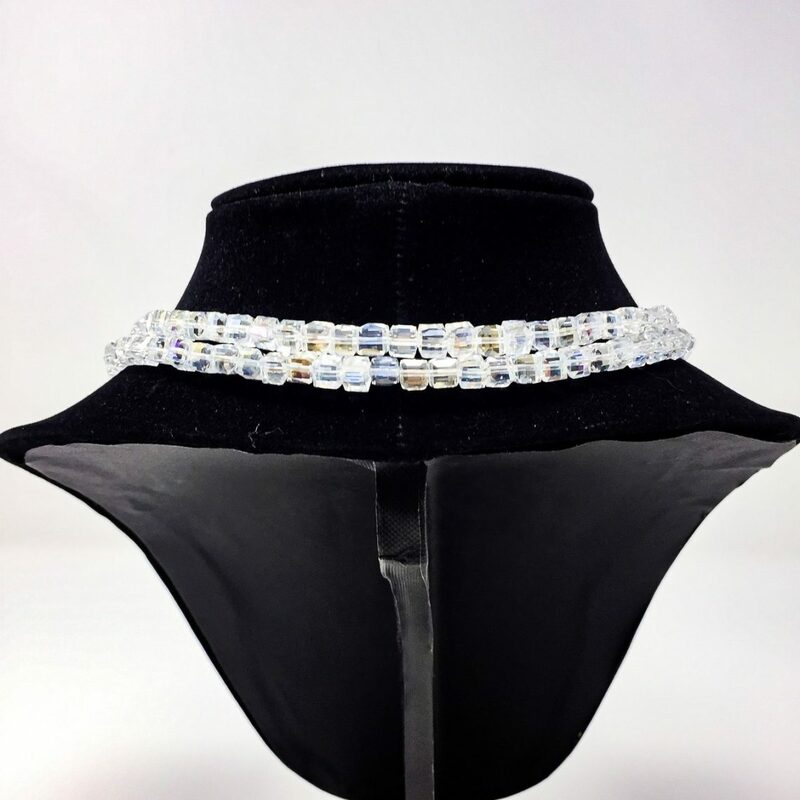 These crystals are exquisite and look amazing on the skin or over clothing. 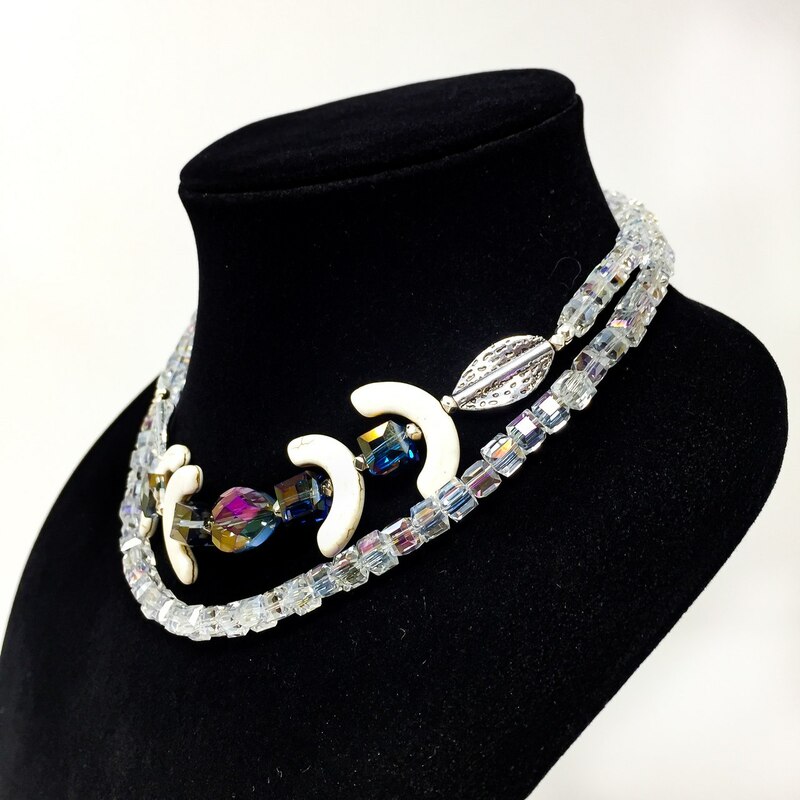 Lovingly crafted by the hands of a genuine healer.